It’s time to prepare for Christmas, my friends! 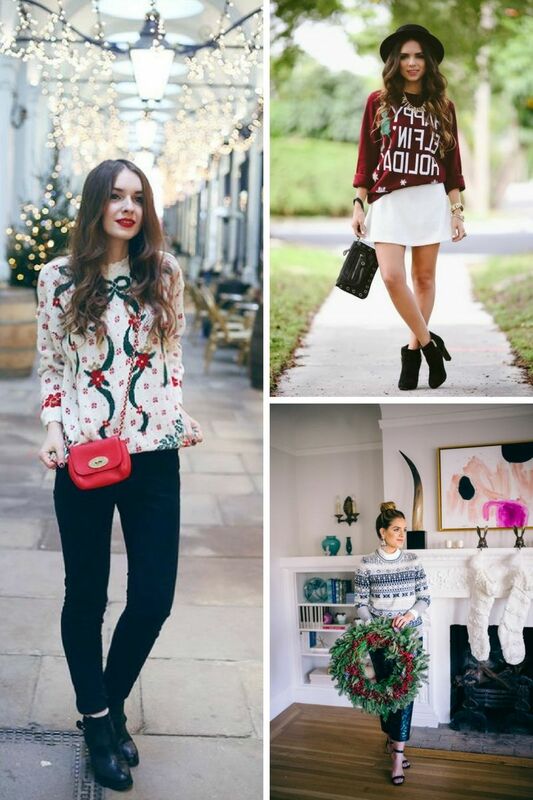 In today’s blog post I am about to show you chic ways how to wear your favorite ugly Christmas sweaters. There is no Christmas party without a cool and ugly sweater. Frankly speaking, I don’t find this knitwear to be ugly, it does look pretty chic and Wintry sweet. In other words, you automatically start to feel Christmas in your heart. 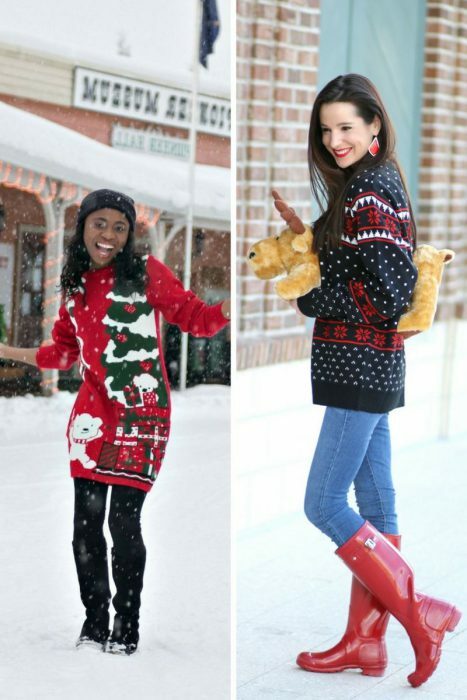 You can actually look awesome in such sweater. 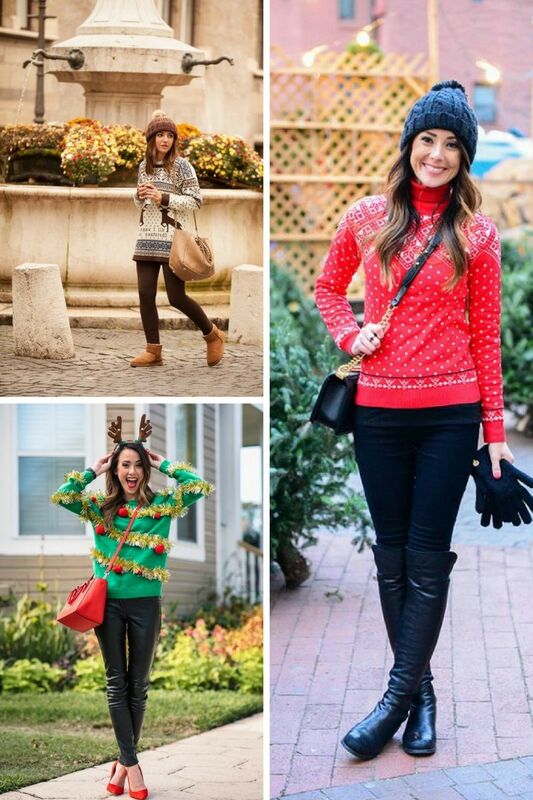 In this article, I picked my favorite outfit ideas you all can recreate this Winter. 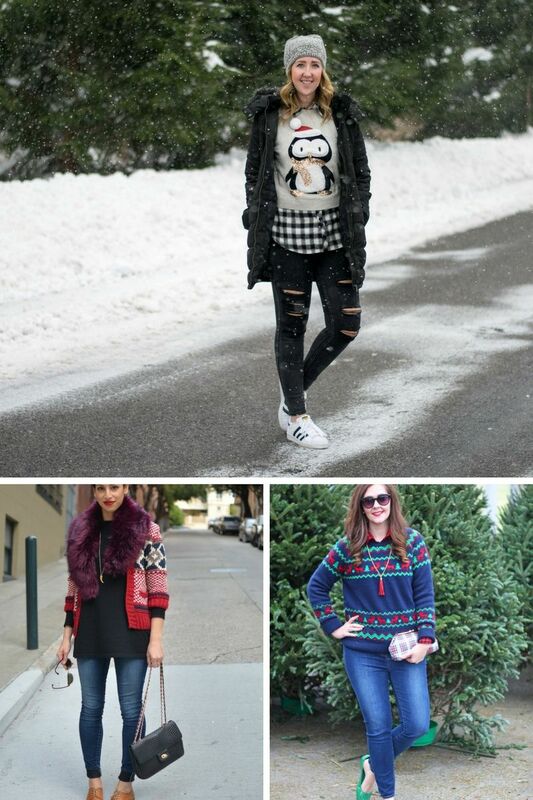 So, what are you waiting for, let’s get inspired by how to wear ugly sweaters this Christmas. You can find this cozy knitwear in many versatile styles, colors, and patterns, as well as with 3D shapes, yes, you definitely gonna find some for your taste. Speaking of patterns, then you are free to try on the one with snowflakes, Santa Claus, reindeer or Christmas tree. I am telling you, there will be no problem to find the one that can give you that special festive spirit. 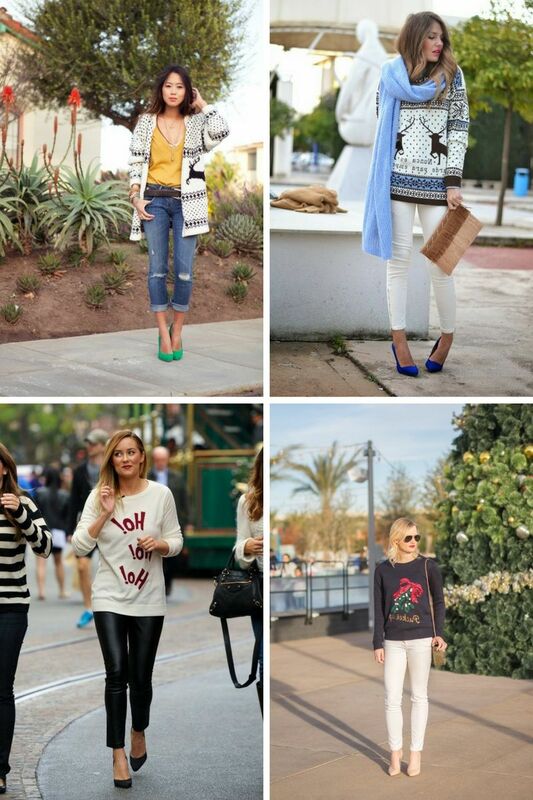 Christmas knitwear can be worn with jeans, pants, skirts, leggings, or over dresses. Anyway, here I’ve got a cool collection of Christmas sweaters that can be worn next year. So, get inspired by these fashion bloggers and pick your favorite style. Check out and choose your favorites.